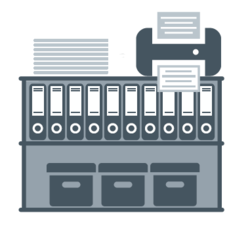 Scanning your documents makes them instantly available, but digitizing technology can take you further. Digitizing handwritten or printed information instantly multiplies the possibilities for using your information. Having physical documents is not cost effective as compared to the Scanning service provided by us. Complete History – Present Illness (Blood group, BP etc)al details such as Diabetes, High / Low BP, etc of family members. • Tracks the previous consultancy details such as Name of the doctor, date of consultation, etc. • Allows to take Comparison Charts. At Mediscript our aim is to help the physicians care for their patients. We do that by giving them the confidence knowing that they are protected by clear and accurate documentation.